Your comfort zone is exactly what the name suggests. It is a place that feels warm, familiar and comfortable. It is a place where you are in control. The variables are all endogenous (you control them) and life seems good and, most of all predictable. But your happiness and ultimate satisfaction lie beyond your comfort zone. It sounds like a good thing, the comfort zone, but it can be the biggest obstacle you can face in your pursuit of your personal, professional and even financial goals. 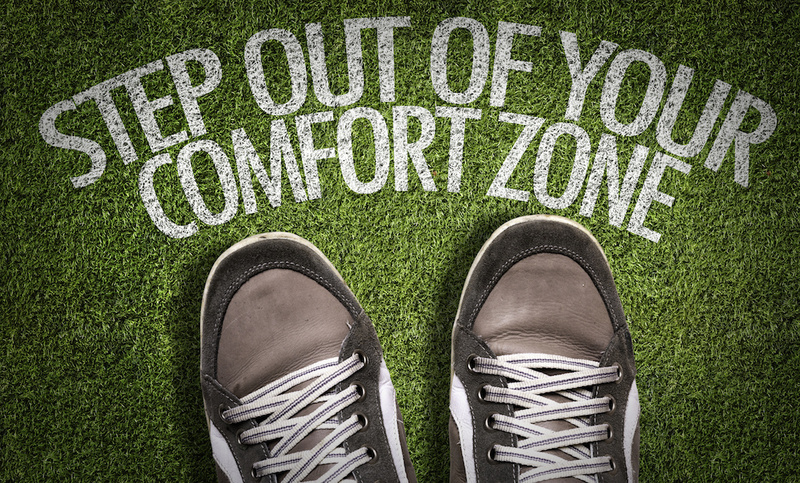 The article below from Psychology Today by Dr. Abigail Brenner points out some of the pitfalls of remaining in your comfort zone and some of the advantages of leaving it behind. Dr. Brenner shares her own personal experience of transition as she moves her practice and home from the northeastern U.S. to California. Isn’t that much bigger than any challenge you may face in moving your comfort zone? It probably is. It is one she describes for you in helpful language. My chosen career forces me to shift my comfort zone on a monthly, weekly and even a daily basis. Putting that change behind you, each time creates a new and very satisfying comfort zone of its’ own. Don’t get me wrong, every time you alter your comfort zone is just as challenging as the last, but it becomes a much more familiar transition. So don’t hesitate to confront your fears and redefine yourself and your boundaries.